B elllo" or the Italian word "bello" from which we derived our name, is used to describe many thoughts and emotions in Italian. You would compliment a beautiful woman by saying "Che bella donna!" or to a handsome man, you would say "Che bell'uomo". 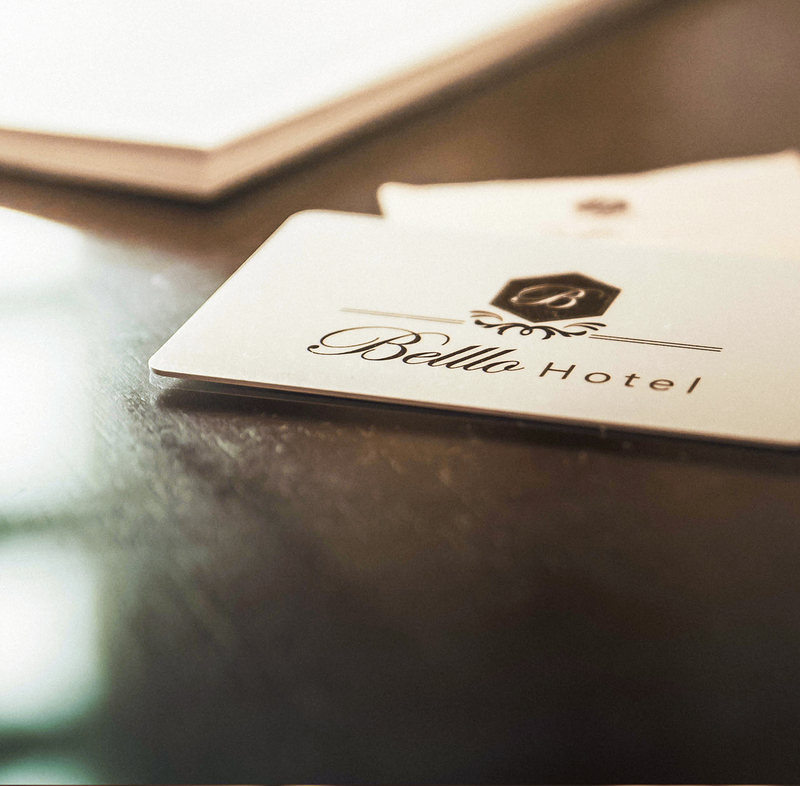 For us, we want to build a hotel with wonderful attributes where our guests will leave with a pleasant experience and a lasting impression of our hospitality. 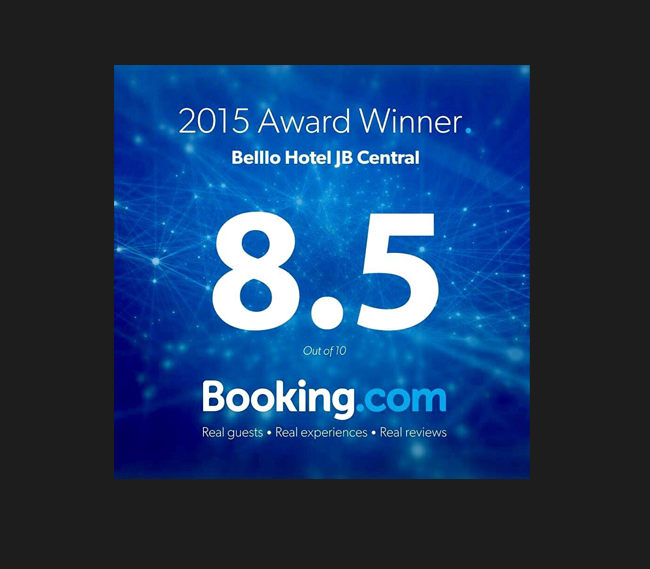 Our guests should leave with a smile on their faces and the word "Belllo" in their minds. 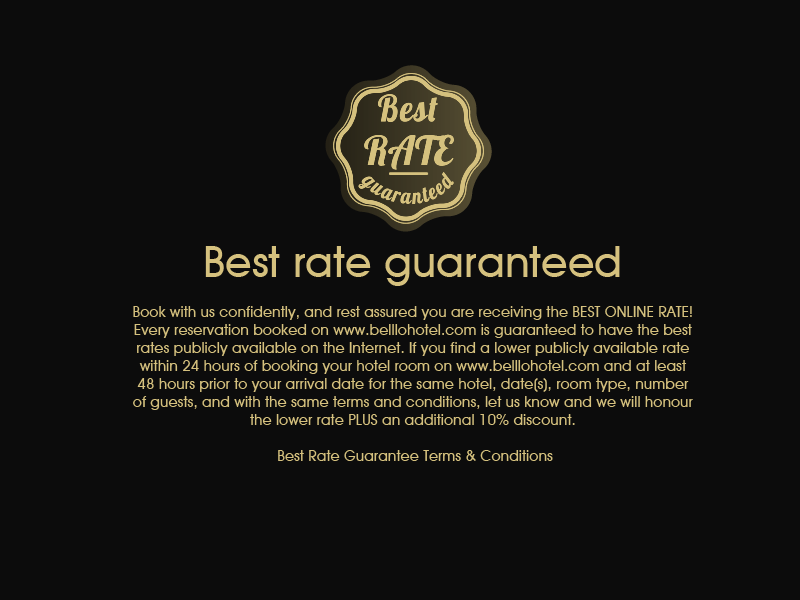 S ERVICE Our commitment is to build a lasting relationship with our guests and be your preferred choice of hotel. Our staff welcomes you from the moment you step in and go the extra mile with a smile. We know that even the best location and outstanding amenities would be meaningless without the warm hospitality from the heart. Your satisfaction and repeated patronage shall be our source of pride and motivation to serve you better. A well-appointed lavish suite is the ultimate indulgence for travellers who need space. This room is ideal for family with children or friends. This spacious guest room also features light natural wood tones, walk-in rain showers, and marble top bathroom along with thoughtfully source bathroom amenities. Johor Bahru (also Johor Baru or Johore Baharu, but universally called JB) is the state capital of Johor in southern peninsular Malaysia, just across the causeway from Singapore. A bustling city but one with little of interest for the casual tourist, it is a significant regional transport and manufacturing hub. A walk away to shopping heaven. Komtar JBCC is a shopping mall in Johor Bahru, Johor, Malaysia. 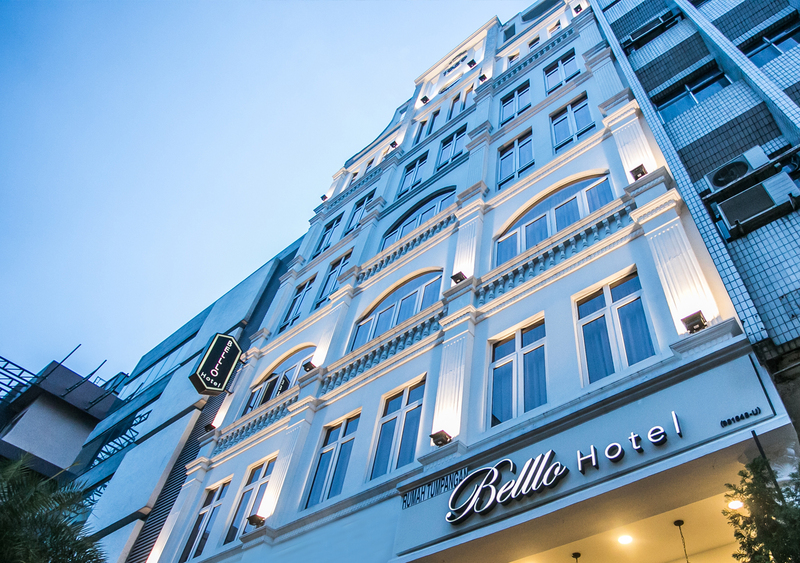 It opened in November 2014 and is adjacent to the popular Johor Bahru City Square. F ill with abundance of choice, Johor bahru is one of the best place for food hunting. Choice from Malay food, peranakan, chinese makes it a perfect spots for food hunters. 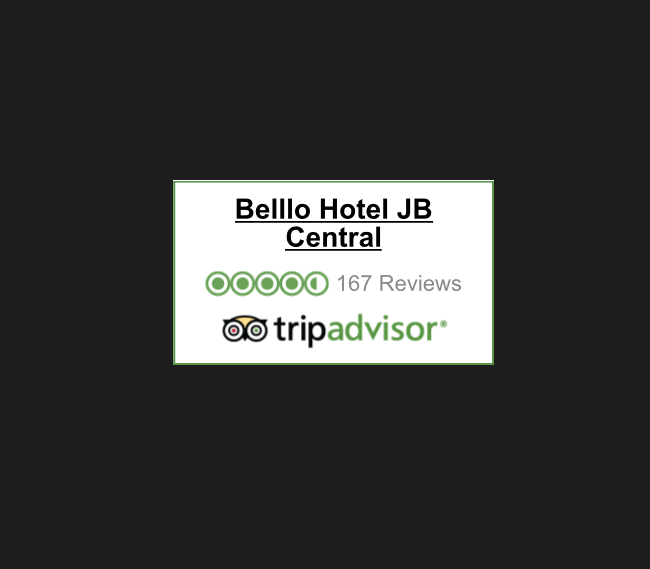 B elllo Hotel JB Central is an artfully restored architecture that has been redefined to be a class of its own. The timeless beauty and charm is well accentuated in the sunlit courtyard and the white colonial beams. Each of our rooms is tastefully designed and built to provide the utmost comfort and cosy rest for our valued guests. I n the heart of Johor Bahru, and a stone's throw away from Belllo's Hotel, lies one of the oldest streets in downtown Johor Bahru, Jalan Tan Hiok Nee. this street is definitely rich in terms of history and culture. 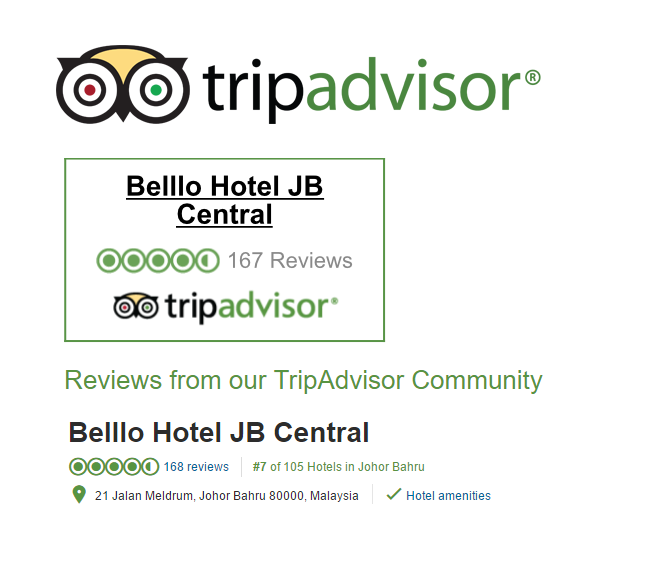 T here is no shortage of entertainment in Johor Bahru, the streets and shopping complexes are filled with nightclubs and entertainment centers that are generally filled with clients every night of the week. From discos, to bars and pubs Johor Bahru has it all. As a visitor in Johor Bahru you will never find a moment where you are bored and do not know what to do or where to go.